If the weather is bad, that's good. If the gear is cumbersome, you're dressed right. If the bass and the blues aren't biting, and you're still happy, you're a surfcaster. 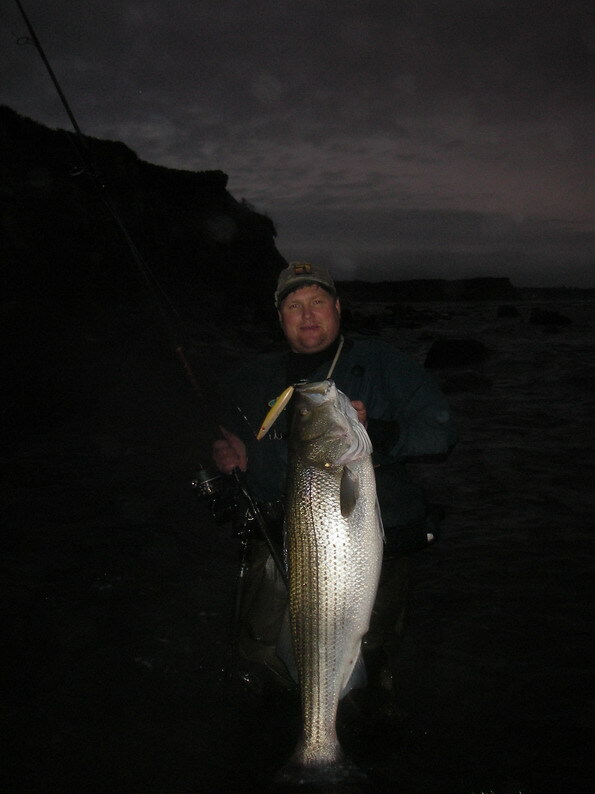 James Kindall "The New York Times"
Fish the pounding surf of Montauk, the sands of Long Island's South Shore, or the back bay light tackle action of the North Shore. Learn where and how. From what plugs to use, how to fish and recognize potential striper hot spots (reading the beach), to mastering the cast. You will learn from an expert with over 30 years of experience, with more than 13 of those years guiding casters in the suds. Excellent opportunity for someone just getting started or a surf rat looking to fish new spots. Meet me at a planned location, hop in my beach Buggy and get ready for a 6 hour surf fishing adventure. I supply all custom tackle free. Bring your questions and a notebook because it will be a hands-on surf fishing class. I'll bring you to my private spots that I only have access to or spots that have public access, or both! Your choice - SEE YOU ON THE BEACH! If you have never surf fished before or you're and old salt, you can count on personalized professional service!